The envying effect on my team outing on September 1st weekend to Jawadhu hills reflected in my family too, hence no escape but to visit again to a hill station. This time not in mini bus but in my Suzuki Zen Estilo car filled with four adults and two kids. 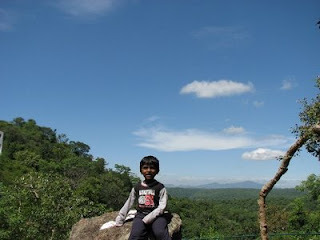 Actually I thought I will take them to Yelagiri ,another hill station next to Jawadhu hills, hence we geared up our plans and started early in the morning to Yelagiri. The trip to Yelagiri included a lunch stopover at Ambur for the famous Ambur Dhum Briyani. We started our trip after lunch from Ambur to Yelagiri & after a short drive we were already climbing on the Yelagiri hills. But I did not see any dark forest instead saw plains below the mountain. The hill route provided a panoramic view of downhill villages. 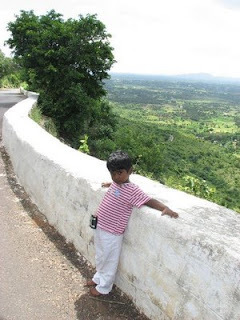 The hills route got couple of hairpin bends and we have seen lots of families sitting on the compound wall posing for our cameras. 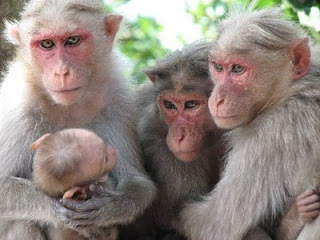 Look at the monkey family, they seems to be enjoying their weekend too. 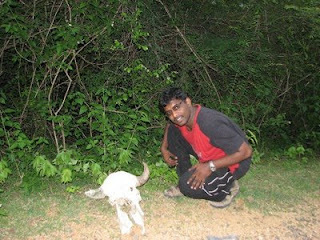 Soon after reaching the top, I decided to go back as there was nothing much to attract us in Yelagiri, hence U turn to down hills. You know what, the car was accelerating towards Jawadhu hills. I took an alternate way to Jamunamathur. Now the route from Vaniyambadi to Alankayam then proceeded forward to Kavalur. Remember the observatory I was mentioning in my previous visit's blog. We reached bit later than the last time, but now for my surprise the guards posted in the security poll of Vainu Pappu Observatory allowed us to see the Giant 93” world’s second largest telescope. Hmmm… bad luck, I didn’t carry a mobile camera and the security personnel already asked me to leave the digital camera behind before entering into the facility (Security concerns!!!). Lucky my family!! we got into the largest telescope tower and the lab attender demonstrated its operations. Though we didn’t see any objects from the sky as it was not in the evening, but we have seen the telescope operational procedures. Asia’s largest telescope is called Vainu Pappu Telescope and the optical used in the telescope is 93”(Ninety Three Inches) in size. The whole setup is indigenously developed including the optical lens, the observatory staffs claimed it took one and half year for them to make the lens. The second largest telescope in this facility is 40” in size and Carl-Zeiss of Germany made the lens. The staff claimed the second size telescope provides around 98% accuracy. There is an optical coating plant inside the observatory where the 93” telescope was made, now I found they are making another 24” lens to commission another telescope tower. After spending fair amount of time in the observatory, we moved out approaching towards the guesthouse in Jamunamaruthur village. Remember I explained about route to the guesthouse from Kavalur. 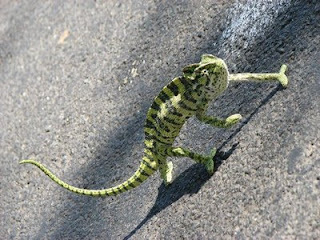 With similar expectation to meet our wild friends I was driving on the grove, I have spotted a chameleon crossing the road… WoW the first feast to my camera in Jawadhu hills was too colorful this time. After taking couple of pictures, I again set myself into the car driving on the jungle roads. 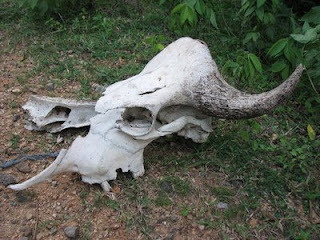 I heard my father calling me to look at the right side of the car window; if someone was taking my video would have realized the amazement in my eyes, We found a skull of Bison lying on the road side. Next moment everyone heard click! click! click! Though I didn’t see the Bison, but I have seen the skull of bison. We were thinking it was going to be a Zoo trip but it became Museum trip after seeing the skull. The day already vanished and my family was set into the guesthouse, since there is no crowd I didn’t take opportunity to set camp fire. Almost every one was tired and we did sleep early on the date. 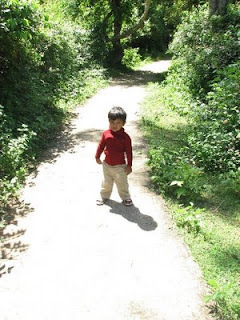 My kids were enjoying their forest visit and butterflies in the forest heard my shutterbugs. A dip in the waterfalls, hmmmm good good second time in a fortnight. This time my kids have also joined with me. Blue sky and Green backdrop a unique combination for the day. 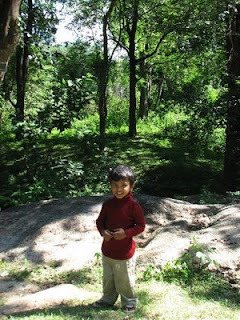 With some time on the Village for food and sight seeing we were already wound our trip back to Chennai. I got really good info in your blog. I plan to visit jawadhu hills. Please let me know the preffered route to the same. Thank you. 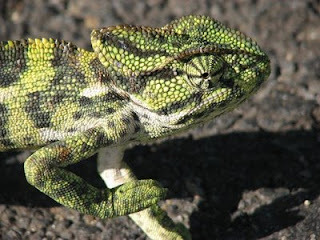 This is Raja from chennai, so nice info. After seen this our team also like to go there if it possible please share the contact details please.